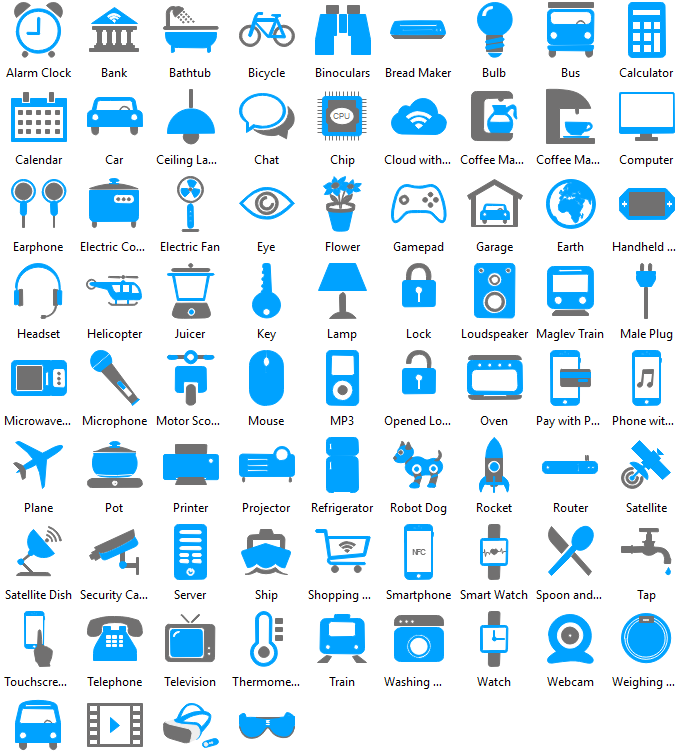 Here is a free collection of vector Internet of Things cliparts which contains network of physical devices, vehicles, home appliances, and electronics etc. 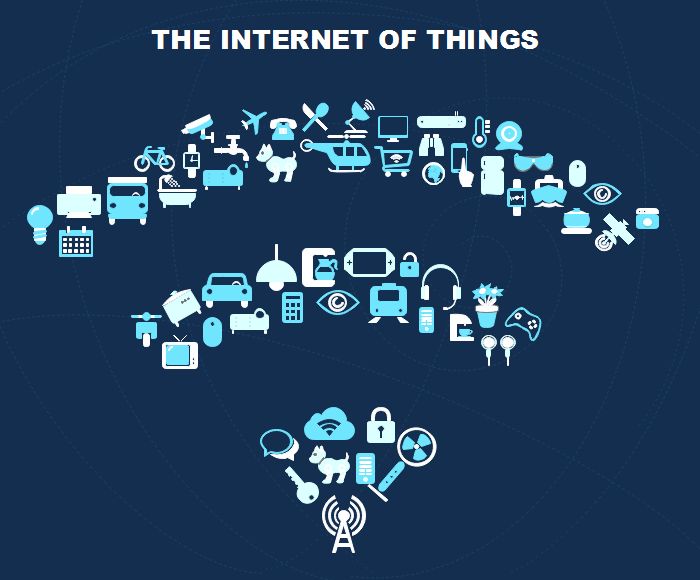 Internet of Things is an advanced and cutting-edge trend after boom of the internet. It means items could be connected through the information sensing and the internect for data exchange. In order to achieve intelligent identification and management, more and more markets enter this field. Edraw Max provides clipart collection of Internet of Things for users to use those vector cliparts for design. You are able to customize your works with those editable Internet of Things cliparts. 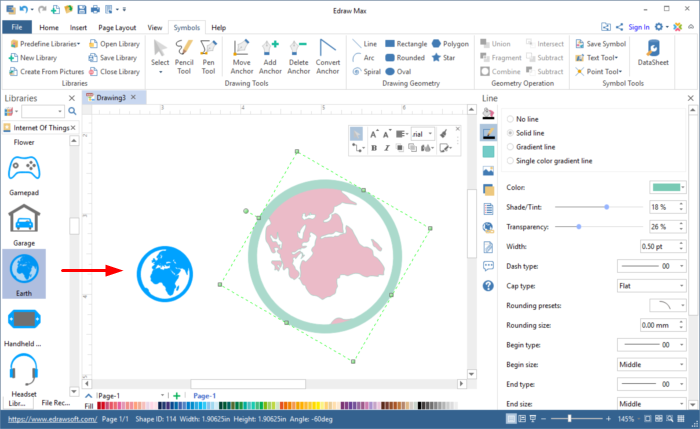 As cliparts from libraries are vector, they could be modified by changing the size, colors and shapes. For those who are urgent in designing, those Internet of Things clipart library could meet their requirements of improving productivity. For green hand designers, Edraw provides you plans in drawing lessons from cliparts for your works. Besides, if this clipart liabrary could not satisfy your needs, a series of drawing tools are prepared for you to customize it. 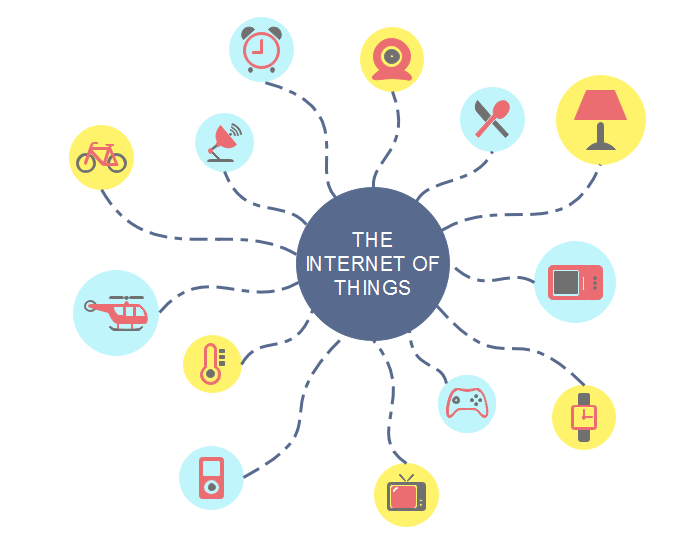 Internet of Things cliparts are widely used in different graphs for decorations. Below is one of its graphic application example designed by Edraw clipart library. If you desire to use and edit this tempate, click to download free. Internet of Things cliparts could also be used in connecting "Things" and "Internet". Here is another example used these cliparts. Try Edraw to decorate your graphs with vector Internet of Things cliparts.